BNG, which stands for Brand New Generation, is a group of three men whose actual names are: Daro Umaigba, Patrick Edwards, Nosa Umaigba. 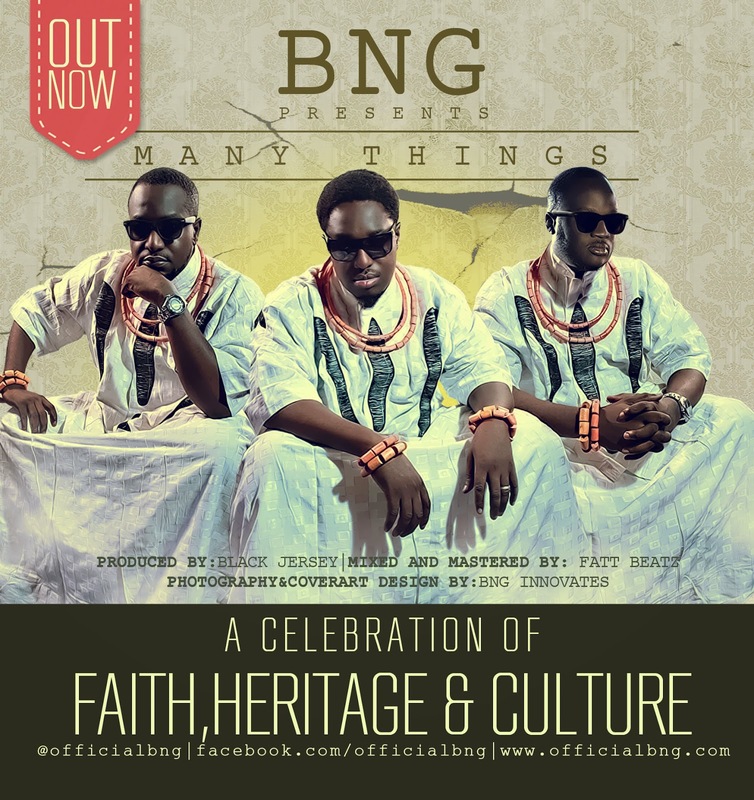 Earlier this month, BNG released the audio and lyrics video for their new single, Many Things. I love the highlife and cultural flavor infused into this song. The cover artwork is a winner in my books! There are "many things" I love about this song, but I will let you listen and judge for yourself.